For the 2018-2019 academic year, the colloquia committee will focus on the following three types of events: those in which we share our own research; those in which we invite outside speakers whose work is related to the research interests of the department; and brown-bag professionalization workshops for graduate students. 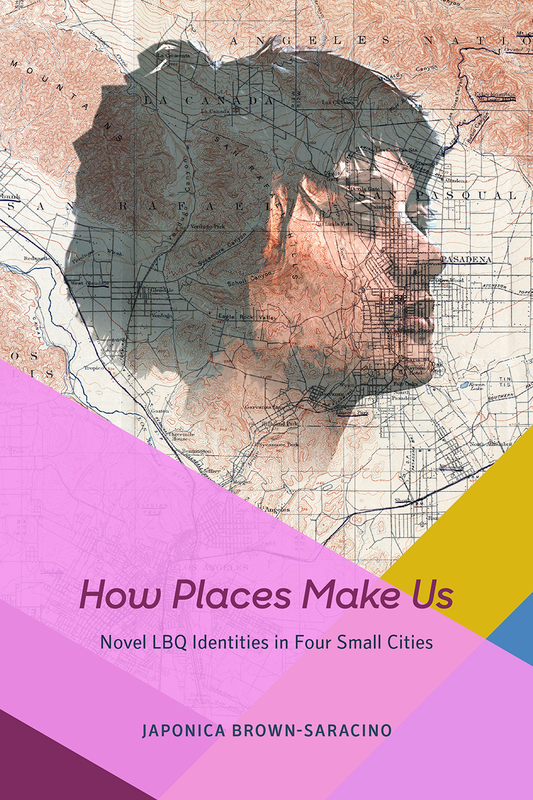 On new book: How Places Make Us: Novel LBQ Identities in Four Small Cities (University of Chicago Press). We like to think of ourselves as possessing an essential self, a core identity that is who we really are, regardless of where we live, work, or play. But places actually make us much more than we might think. An ethnographic study of lesbian, bisexual and queer individuals (LBQ) in Ithaca, New York, San Luis Obispo, California, Greenfield, Massachusetts, and Portland, Maine reveals how LBQ migrants craft a unique sense of self that corresponds to their new homes. Despite the fact that the LBQ residents share many traits, their approaches to sexual identity politics and to ties with other LBQ individuals and heterosexual residents vary markedly by where they live. Subtly distinct local ecologies shape what it feels like to be a sexual minority; city ecology shapes how one “does” LBQ in a specific place. Even in a globalized world, the most personal of questions—who am I? — is in fact answered collectively by the place in which we live. On new book: Pictures from a Gone City: Tech and the Dark Side of Prosperity in the SF Bay Area (PM Press). The San Francisco Bay Area is currently the jewel in the crown of capitalism – the tech capital of the world and a gusher of wealth for the Silicon Gold Rush. It generates jobs, spawns innovation, and spreads ideas that changes lives. So, what could be wrong? Spanning economics, urban design, politics, and the environment, Walker provides a profoundly historical approach to illuminate the basic crisis and contradictions of the Bay Area. While capitalism is at its most dynamic and innovative times in the San Francisco Bay Area, Walker will present how it is a site of severe inequality with failing public policies and infrastructure. Thus, Walker calls for the Bay Area to reclaim its radical roots! RICHARD WALKER is Professor Emeritus of Geography at the University of California, Berkeley, where he taught from 1975 to 2012 and served at various times as Chair of Geography, Global Metropolitan Studies, and California Studies. He has written on a diverse range of topics in economic, urban, and environmental geography, published in journals from Society and Space to New Left Review. He is co-author of two classics in economic geography, The Capitalist Imperative (1989) and The New Social Economy (1992). He has written extensively on California, including The Conquest of Bread (2004),The Country in the City (2007) and The Atlas of California (2013). 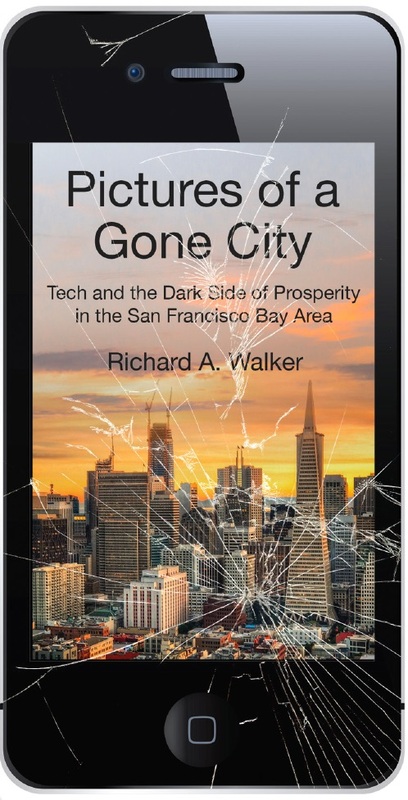 His latest book is Pictures of a Gone City: Tech and the Dark Side of Prosperity in the San Francisco Bay Area (2018). Walker's awards include Fulbright and Guggenheim Fellowships, the Distinguished Scholarship Award of the Association of American Geographers, the Carey McWilliams Award from California Studies Association, and the Hal Rothman prize from the Western History Association. He lives half the year in Berkeley and the other half in Burgundy. Co-Sponsored by the Politics Department, Community Studies, The Humanities Institute California Studies Cluster, and the Science & Justice Research Center. The workshop will cover broad guidelines about field statements and research proposals, and preparation advice to allay some of the anxiety that is attendant with navigating the QE process. With Sociology@UCSantaCruz Professors Lindsey Dillon and Hiroshi Fukurai. The conversation and Q&A session will be moderated by Sociology Graduate Student Yvonne Sherwood. Lindsey Dillon is a geographer and Assistant Professor of Sociology at UC Santa Cruz and affiliated with the Community Studies Program, the Environmental Studies Department, and the Science and Justice Research Center. Lindsey's research interests include urban environments and social justice. Her research and writing is deeply engaged with political ecology, feminist geography, critical race theory, and science and technology studies. She also co-founded and serves on the steering committee of the Environmental Data and Governance Initiative. Hiroshi Fukurai is a sociology and Professor of Sociology and Legal Studies at the UC Santa Cruz. His expertise includes citizen participation in the justice system, international law, race and inequality, East Asian law and politics, and military and justice. His research intersects with other substantive areas such as social movements, environmental justice, indigenous knowledge, labor history, and the role of international organizations. He was voted to be President of Asian Law and Society Association (ALSA) for 2018-2020. Lindsey Dillon's "Pandemonium on the Bay: Naval Station Treasure Island and the Toxic Legacies of Atomic Defense," in Horiuchi and Sankalia's (2017), Treasure Island: Urban Reinventions and Hiroshi Fukurai's "Disaster Memories and other thoughts on the Fukushima nuclear reactors, the Military Intdustrial Complex, and National Sovereignty" in McKenzie (2012) My Postwar Life. The workshop will cover broad guidelines about arriving at a research topic, selecting a committee, the role of the dissertation committee, effective writing practices and strategies. Tracing moments of performance, collective organizing, and creative expressions of joy, Ramirez reveals how Black, Latinx and other racialized artists in Oakland dislocate the gentrifying landscape, contesting the forces of redevelopment that seek to erase their geographies, disturbing the racial capitalist order of the city itself. Exploring the complex role that art and artists play in cities that are gentrifying or undergoing redevelopment, Ramirez pays particular attention to the ways that artists of color in Oakland are framed in discourses of the creative city and how they are contesting the gentrification of their neighborhoods. Ramirez suggests that their creative engagements with urban space offer a more nuanced understanding of the day-to-day terrors of gentrification, and insist upon an intersectional understanding of gentrification in relation to other forms of racial capitalist extraction. Ramirez contends that the creative and artistic practices of people of color also provide a lens from which to understand the Black and Latinx geographies of a city, offering multi-sensory engagements with urban space. Margaret Ramirez, Creative Cities Fellow at Stanford University. Work explores the interstices between racial capitalism and settler colonialism in cities across the Americas, and how the creative geographies of marginalized peoples are policed, co-opted and resist in gentrifying cities. With Sociology@UCSantaCruz Professors Rebecca London and Jenny Reardon. The conversation and Q&A session will be moderated by Sociology Doctoral Student Theresa Hice Johnson. Rebecca London is an Assistant Professor of Sociology at the UC Santa Cruz. Her research focuses on understanding the challenges faced by disadvantaged children and youth and the ways that communities and community organizations support young people to be healthy and successful. Using both qualitative and quantitative methods, Rebecca has conducted research in multiple fields, including: K-12 and post-secondary education, health and wellness, afterschool programs, welfare reform, the digital divide and children's living arrangements. Her research has been published in numerous journals, edited volumes, and policy briefs as well as presented at professional conferences, in community forums and in legislative testimony. Jenny Reardon is a Professor of Sociology and the Founding Director of the Science and Justice Research Center at the UC Santa Cruz. Her research draws into focus questions about identity, justice and democracy that are often silently embedded in scientific ideas and practices, particularly in modern genomic research. Her training spans molecular biology, the history of biology, science studies, feminist and critical race studies, and the sociology of science, technology and medicine. She is the author of Race to the Finish: Identity and Governance in an Age of Genomics (Princeton University Press, 2005) and The Postgenomic Condition: Ethics, Justice, Knowledge After the Genome (Chicago University Press, Fall 2017). London, Rebecca (2018) “Incorporating Family Engagement Into California School District Accountability Plans,” in Social Justice and Parent Partnerships in Multicultural Education Contexts, eds. Norris, K.E.L & Collier, S. Hershey, PA: IGI Global. As part of their Professionalization Workshop Series, the Sociology Department will host a discussion with Safiya Umoja Noble, faculty and graduate students on various aspects of career building, such as: creating public platforms for your work, creating and activating a support network, getting your work seen and heard, relationships with publishers, social media use. Seating will be limited to room size, rsvp to cmasseng@ucsc.edu. Faculty and students of SJRC’s Theorizing Race After Race group, and Jenny Reardon’s graduate seminar Sociology 260: Culture, Knowledge, Power invite you to join a discussion on the overt return to race facilitated and mediated by novel forms of science and technology: genomics; machine learning; algorithmically driven media platforms. Seating will be limited to room size, rsvp to cmasseng@ucsc.edu. In this talk, Dr. Safiya Umoja Noble will discuss her new book, Algorithms of Oppression, and the impact of marginalization and misrepresentation in commercial information platforms like Google search, as well as the implications for public information needs. Safiya Umoja Noble focuses on the design of digital media platforms on the internet and their impact on society. Her work is both sociological and interdisciplinary, marking the ways that digital media impacts and intersects with issues of race, gender, culture, and technology. She is regularly quoted for her expertise on issues of algorithmic discrimination and technology bias by national and international press. Safiya currently serves as an Associate Editor for the Journal of Critical Library and Information Studies, and is the co-editor of the Commentary & Criticism section of the Journal of Feminist Media Studies. Safiya holds a Ph.D. and M.S. in Library & Information Science from the University of Illinois at Urbana-Champaign, and a B.A. in Sociology from California State University, Fresno. With Sociology@UCSantaCruz Professors Camilla Hawthorne and Juan Pedroza. The conversation and Q&A session will be moderated by Sociology Graduate Student Michelle Gomez Parra. Camilla Hawthorne is a critical human geographer and interdisciplinary social scientist broadly interested in the racial politics of migration and citizenship, inequality, social movements, and Black geographies. Camilla is Assistant Professor of Public Policy and Inequality in the Department of Sociology at UC Santa Cruz, a principal faculty member in UCSC's Critical Race and Ethnic Studies program, and an affiliate of the Science & Justice Research Center. Her teaching is focused on race, immigration and citizenship, political economy, space and inequality, and social theory. Her work sits at the intersection of critical public policy studies, diaspora theory, Black European studies, and postcolonial/feminist science and technology studies. Camilla's current research explores the politics of race and citizenship in Italy. Juan Pedroza is an Assistant Professor of Demography, Migration, and Inequality in the Department of Sociology at UC Santa Cruz where he studies the changing landscape of immigration in the United States. Over the past decade, Juan has examined the vast inequalities of immigrants' access to justice, the social safety net, and poverty. His research examines how and where deportation and enforcement initiatives exacerbate these inequalities and leave imprints in our local communities. Juan is particularly interested in the role local contexts play in creating and cementing divergent outcomes in immigrant communities whose expertise spans immigration, social inequalities, and public policy. Juan employs social demographic, statistical, and geographic information systems methods and tools to analyze administrative, Census, survey, and qualitative data to answer research questions about our social world.